Vinyl fences are a popular choice for fencing options, especially for homes with pets and growing families. 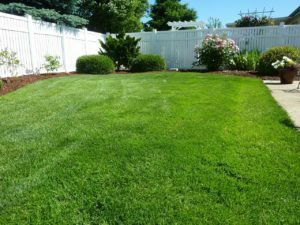 If you are now in the process of considering various fencing material options for your home, consider these three excellent reasons to invest in a beautiful vinyl fence for your home and family. Vinyl fences are a popular choice for fencing options, especially for homes with pets and growing families. Many homeowners choose vinyl fences primarily because they are low maintenance features for a home. With this, these fences are easily cleaned using a simple solution made from mild soap and water. This easy DIY solution is good enough for efficiently scrubbing down your vinyl fence to keep it clean and looking brand new in any season. In addition to being easy to clean and low maintenance, vinyl fences are durable and known for not fading in sunlight over time. As the seasons change, your vinyl fence can easily stand up to harsh weather without requiring a new coat of paint to keep it looking great. Unlike a wood fence, you will also never need to worry about your vinyl fence rotting or coming apart. Additionally, they are safe from termites in a way that wooden fences are not throughout the year. A vinyl fence can add some significant curb appeal to your home, as their simple white material creates a clean and stylish look for your house and yard. Your new fence will also look great next to colorful landscaping, which can significantly enhance the overall look of your home exterior. In addition to their many durable and beautiful qualities, vinyl fences are also more cost-efficient than other types of fencing. You can also save money on replacement and maintenance costs thanks to their low maintenance and durable nature. Not only will your vinyl fence look great and stay well-maintained throughout the year, but it also provides an excellent function for keeping your family and pets safe. Let your kids and pets enjoy playing in the yard with peace of mind that they are well protected in your property. For days when you may be entertaining in your outdoor space, these fences also provide an added level of privacy for your time outdoors.